← American Chronicles: The Art of Norman Rockwell at NCMA through January 30th! The Art of Relaxation ~ Calm and Sense in Raleigh. I don’t know about you, but the start of 2011 has been pretty hectic for me. Between all the holiday travel and work commitments it is easy to pack each day with too many chores and other responsibilities. One of my resolutions in the new year is to make time to relax and enjoy the moment. Thankfully, my wife has introduced me to a store right here in Raleigh that is dedicated to stress relief and relaxation. 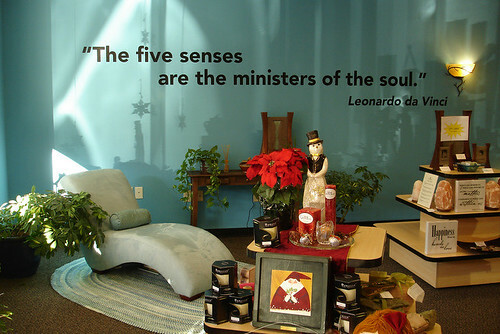 Calm and Sense seeks to help their customers achieve relaxation through exploration of the five human senses. 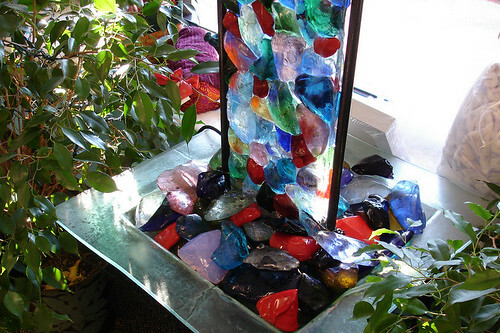 They do this by helping you find your personal stress relief triggers. Whether through sight, smell, sound, taste or touch. 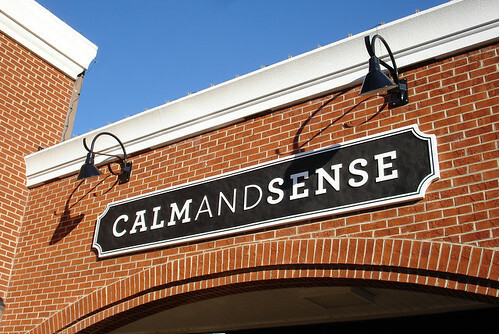 Calm and Sense is located at the corner of Oberlin Rd & Glenwood Avenue next to the Harris Teeter (link to map) and features a wide selection of unique stress-relieving natural products and gifts, many from women-owned and local businesses. 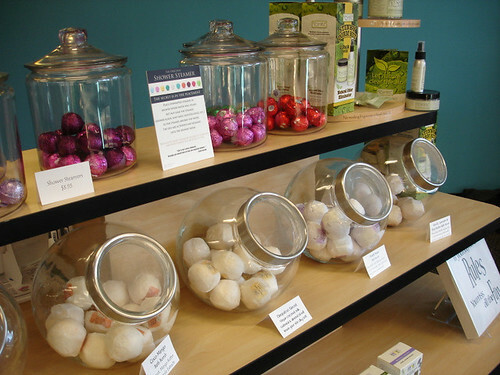 The shop features stress relieving items like soothing eye masks, neck wraps, spa robes, bath salts, organic bubble baths, and soothing teas. If you prefer, you can purchase pre-made gift baskets or can create a personalized basket to give the gift of relaxation to someone special. Calm and Sense also supports the community by serving as a central meeting place for stress relieving classes like weekly meditation circles and yoga. You can view more photos of the shop in my flickr photo album. To learn more about Calm and Sense and their upcoming specials and events you can visit their website or join their facebook fan page. nice and the people are actually sharing pleasant thoughts.